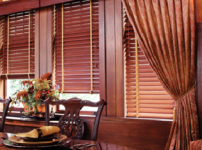 When it comes to custom window treatments, one of the most popular options today is motorized blinds. If you are planning to install motorized blinds in your NYC home, you have come to the right place. Find out more about motorized blinds, where they can be used, as well as the benefits of using them in your home in this post! You can rest assured that motorized blinds powered by a DC power adaptor are a relatively energy efficient and convenient option. What’s more, they can be plugged into most types of power outlets. The great thing about this option is that you never have to worry about changing batteries. DC powered blinds are pretty easy to install – you only need to hang your blinds and plug in your power. Also, you just need some basic wire management and you are good to go. For this option to work, you only need a natural power source called sunlight. If you have a solar panel system, make sure you mount it behind the blinds and face it outwards. It’s important to note that not all windows receive an equal amount of sunlight. That’s why this type of motorized blinds only works best in rooms that receive a lot of light – it could be westward or southern facing rooms. If you want to use solar powered blinds, ensure they are not covered by trees, roof overhangs, or awnings. This is the simplest option you can go for. These blinds come with a tube (usually installed on top of the blinds) that lifts the blinds up. The battery will be fitted above the tube and is connected to a motor for power. Battery powered blinds are one of the most elegant options as the placement of the motorized components are often unnoticeable. 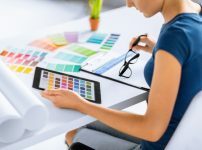 What’s more, they are pretty easy to install and do not take up too much space. Where are Motorized Blinds Most Commonly Used? Firstly, you need to consider how your motorized blinds are powered. If you have opted for solar powered blinds, it is pertinent that you install them in rooms that receive the most sunlight. For other options, the most common places to install blinds include living rooms, bedrooms, study rooms, foyers, and more. 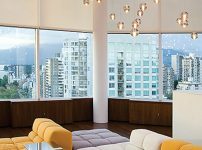 As motorized blinds come in a wide range of designs and styles, it is extremely to find one that fits requirements such as sophistication, elegance, modern, luxurious, unprecedented control and comfort, and more. In addition, motorized blinds allow you to automate a repetitive task; opening and closing blinds in hard-to-reach areas is now easy. Cords, which are part of traditional blinds, can be a hazard to both children and pets. While these cords seem like fun playthings, they are actually strangling and choking hazards. Motorized blinds are 100% chain- and cord-free, and they offer complete peace of mind. Ready to Order Custom Motorized Blinds Today? If you are looking for safe, stylish, and convenient solutions for window treatments, you should definitely consider motorized blinds. Contact u\s today to find out how you can maximize the space in your home, protect your furniture, and more!